Hey everybody, surprise update today! Marc got this sweet idea for a Fight Poster after reading some of the scripts for the strips that are just ahead. 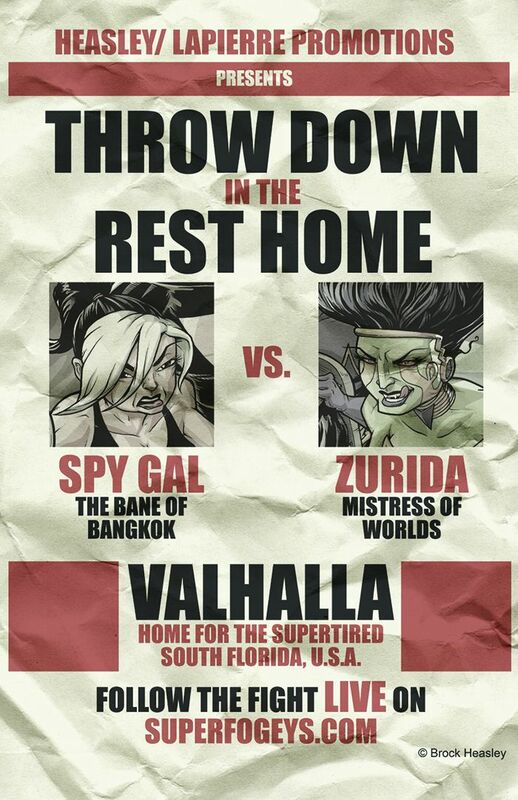 The Spy Gal-Zurida throw down promises to be EPIC. It all begins on Monday. I can’t wait to see what Marc does with it. And in case you missed it… the call for Guest Strippin’ Xmas 4 is out! That is awesome! Way to go guys, hit this one out of the park and into outer space.